Newark, New Jersey is not only the largest city in NJ, but also one of the major air hubs and shipping ports in the United States. 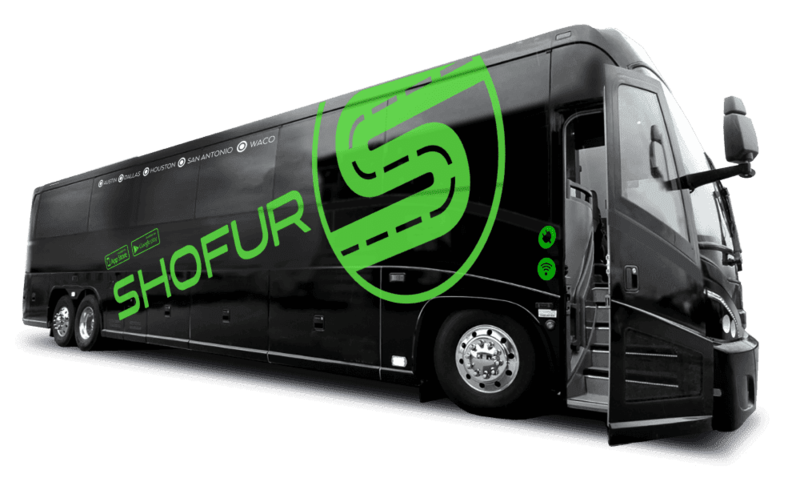 When it comes to buses, Shofur is your source for finding the most reliable charter buses in Newark. Our service is always available and our customer service agents are on call 24/7. For those who want to travel to Newark to visit the Newark Symphony Hall, you'll be able to see plays like Jesus Loves Me: Gospel Stage Play, concerts featuring legends like Smokey Robinson and theater productions like Black Girl Monologues 2. With a charter bus from Shofur, you'll be able to take your entire family or church group to see a gospel stage play, or if your child is in the Spring Children's Performing Arts Academy, you'll be able to invite grandparents and cousins to attend while providing them with transportation. If you've ever seen Cake Boss on television, you know that Jersey City is home to Carlo's Bakery. They have classes for those who want to have an experience like nothing they've ever done before. It's a terrific day trip for bachelorette parties. Your entire bridal party can enjoy a day of cake decorating, and you can consult with Buddy on providing you with a stunning wedding cake too. Once you've taken the class, you can purchase a few pastries to take home with you. Paterson is known for the beautiful Great Falls National Historical Park with the Great Paterson Falls. Paterson is the third largest city in New Jersey, but many people are unaware that there's a hidden gem within its boundaries. The Great Paterson Falls is the second highest waterfall on the Eastern coast. The Great Paterson Falls used to generate electricity for the local mills. You can visit this beautiful falls while visiting the park with your family. It's a splendid place for family reunions. While many elderly family members might not be able to drive to the location, you can contract with our bus rental services to bring your entire family together at this stunning location in Paterson. This American icon was built in 1870. While the Atlantic City Boardwalk was once built and dismantled each year, it now measures four miles long and is a permanent fixture. There are a number of piers stemming from the boardwalk with attractions and shopping available. The length of the boardwalk can make it hard for some visitors, which is why there are AC rolling chairs allowed on the boardwalk. They're the only wheeled vehicle permitted on the four-mile stretch. You can visit Storybook land with the kids or visit the Steel Pier. There are places to rent bikes too. In Atlantic City, you can experience a casino much like the ones found in Las Vegas. The casino has slots and table games as well as shows and restaurants. The famous chef, Gordon Ramsey, has a restaurant in Caesars called Gordon Ramsay Pub & Grill. Along with wonderful night-life, there are meeting rooms available at Caesars. If you're looking for a stunning, one-of-a-kind business trip, you can have it at Caesars. Employee rewards and recognition nights couldn't be more special if held at the casino. Another casino in Atlantic City is Bally's where you could experience Guy Fieri's Chophouse, which is a real steakhouse where the dishes are created from scratch. There's also a spa and salon where guests can relax in the whirlpool or on the outdoor deck. In the Wild Wild West Casino, guests can experience live bands and DJs every weekend. If you want to travel from Newark to Bally's, you can charter a bus for you and all your friends. It's a great place for a bachelor party without the expense of heading to Las Vegas. Those heading to New Jersey might not want to spend the entire day partying or dancing at the casino bar. If you're heading to New Jersey to spend time at a potential college for your teenager, you can enjoy the trip with your child without worrying about the drive. Princeton has an international reputation as an amazing school where Albert Einstein worked. Along with a visit to Princeton with your teenager who is about to head off to college, you can visit the Clarke House Museum and Battlefield State Park. It's a great way to bond with your child before he or she leaves home. How much is a bus from Newark Airport to NYC? ? A bus from Newark Airport to New York City starts at around $495 pricing may change due to time frame and or availability.